Piano, Keyboards , Fender Rhodes, Composition. Born in Mantua, Italy, on the 25th of February 1980. Mainly autodidact, he also studied with italian pianists Stefano Caniato and Fabrizio Puglisi and he participated twice at the Summer Jazz Workshops in Siena (Italy). He cooperated with many musicians ( jazz , afro , funk) : Silvia Donati, Massimiliano Sorrentini, Danilo Gallo, Marco Frattini , Lisa Manara , Youssef Ait Bouazza, Blake C.S. Franchetto, Andrea Taravelli, Nelide Bandello, Federico Pierantoni, Francesco Cusa, Stefano Senni, Francesco Bearzatti , Gaspare De Vito , Aldo Betto, Zeno De Rossi, Francesco Bigoni, Marco Zanotti, Cristina Renzetti, Enrico Terragnoli, Paolo Sorge, Gaetano Santoro, Rocco Casino Papia, Letizia Magnani, Simone Cavina etc. Since 2008, he has played in several festivals and theater : MART UP; Sant’Arcangelo Festival dei Teatri, Teatro Comunale Codigoro, Teatro Comunale di Gubbio, Teatro Comunale Nonantola, Jazz al Museo della Musica di Bologna 2011; Crossroads 2011 & 2012, 2015; JAZZANDO 2009; MiTo 2008; La vena del Jazz 2011 & 2009, ANIMATEKA LUBJANA 2008, SPIAGGE SOUL 2012, 2013 and 2015, Trentino Jazz Festival SUONI DI MONDI etc. He regularly performs in clubs (Torrione Jazz Club, Cantina Bentivoglio, Magnolia, VOX , Boca Barranca etc.). As a sideman, he had the opportunity to work with some names of the pop-rock industry, playing in the ChantSong Orchestra with Roy Paci, Igor Sciavolino, Lorenzo Corti, Cristina Donà, Mauro Ermanno Giovanardi, Emidio Clementi, Frankie HNRG, Luca Morino,Cristiano Godano, Emiliano Carlo Audisio (Emo). He cooperates with Mimmo Crudo (Parto delle Nuvole Pesanti) for his project ” Onda Anomala”. He played in the Patrick Ruffino italian quartet with Marco Zanotti, Indy Dibong (Tony Allen) and Julien Pestre. 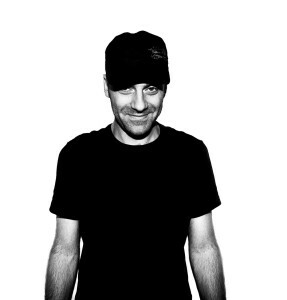 He was a member of a well known italian label and collective called “Improvvisatore Involontario” from 2008 to 2010. In 2012, he was asked to write the main soundrack of some audiobooks for children: “Bambini Bambine Sapori-Famiglie a Colori” and “Nannalibro Libronanna ” . He cooperated intensely with the actor Alfonso Cuccurullo creating theatral show for children and adults and sometimes they perform with the illustrator Agnese Baruzzi. He also cooperated with the writer Aldo Nove (“Gusci a Perdere”, ChantSong Orchestra, Indie Mood). Many positive critical reviews on his last projects as leader e co-leader (Feet of Mud, Federico Squassabia Walkabout and JA VIGIU PLAMJA) came from italian magazines like Blow up, Musica Jazz, Jazzit, Allabout Jazz and radio programs ( RadioTRe Suite, Radio Tre Alza il Volume). He was nominated several times one of the best italian jazz keyboardist by JAZZPOOL JAZZIT . He is a cofounder of the association SUONIFORME . In the 2015 he started a cooperation with the artist Fabrizio Rivola for the creation of the experimental documentary MOTA, presented at the Biennale del Muro Dipinto, Dozza. As teacher he leads courses on improvisation and piano/harmony.